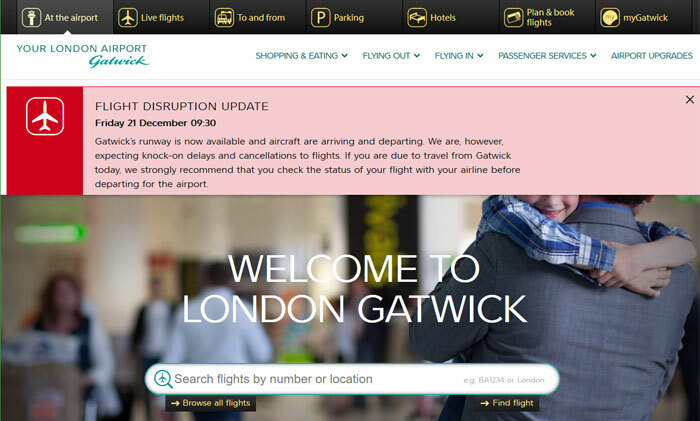 It looks like London Gatwick has finally been able to start operating normally again after a protracted period of disruptions due to drones being flown inside and near the airport perimeters. The runway at Gatwick was closed a little after 21.00 on Wednesday night, and but for a 45 minute respite early on Thursday has not seen any take-offs or landings until this morning. Today, Friday, there are 765 flights scheduled for departure and arrival but some may be cancelled or diverted. The drone operator(s) haven't been found, it is just that they have stopped their mischief for now. Police continue to search for the drone operator(s). According to BBC News about 10,000 passengers were affected on Wednesday night. More than 20 police units from two forces were involved in searching for the perpertrator(s) and even military personnel with "a range of unique capabilities" were deployed to try and sniff out and stop the drones flying and disrupting air traffic. Armed officers were reluctant to shoot down the drones worrying about damage possible due to stray bullets. It is a shame that law enforcement didn't have a Boeing Compact Laser Weapons System available. 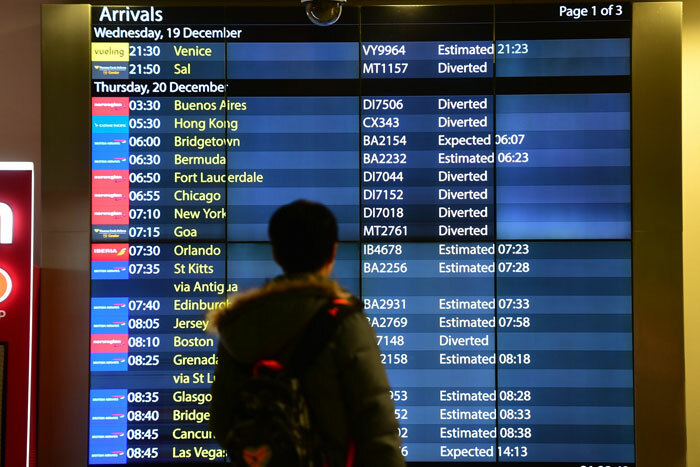 By Thursday night 120,000 people had had flights cancelled. Drone incidents are a growing hazard for passenger aircraft. In 2013 there were no such incidents at all, but this year we are approaching 125 incidents in the UK. It is illegal to fly a drone within 1km of an airport or airfield boundary and flying above 400ft (120m) - which increases the risk of a collision with a manned aircraft - is also banned, reports the BBC. UK Transport Minister Chris Grayling said that the government was looking into going further with drone control, with plans for age-restrictions, for example. 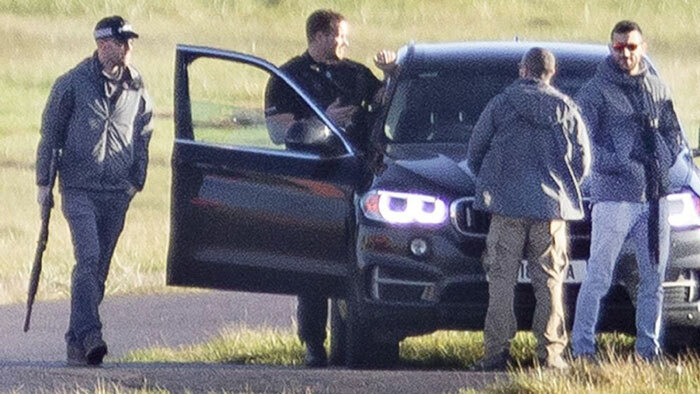 The ages of the Gatwick perpetrator(s) are not known, and we don't know why they operated the drones around the airport. Do some unseen statistics tie airport drone mischief to young operators? In the BBC report there are suggestions instead, that the Gatwick drones were flown by environmental activists. If you are planning to travel anywhere via Gatwick, please keep an eye on the flight status notices ahead of travelling to the airport. Hmmm based on the incredible lack of facts around this news piece , I personally want that drone that can stay aloft for 12 hours, either that or the operator had a hug stash of batteries to keep sending the drone up. The conspiracy theory in me says that this never really happened and was just a Gov plan to divert attention away from other news (probably the Brexit Disaster) or just to give them more ammunition to force through ill conceived anti Drone legislation. Its all the talk of banning restricting them that makes me laugh. You can build opensource ones using parts from China. This isn't something that can be put back in a bag. Ultimately we need technical solutions not unenforceable banning! Huge stash of batteries and/or a fast charger, or more than one drone. If it was a ‘Govt plan’ then the fallout when it came to light - as it inevitably would - would be politically catastrophic, and the drone was seen by several members of the public. Well for starters, here in Switzerland, it is 5km no fly zone, 10 km not above 50m or something like that. DJI software doesn't allows you to fly or warns you (can't remember any more, i didn't fly my drone for more than a year). Maybe there is a group of angry citizens living close to the airport and hating ever growing traffic..